Andean Bear at Reid Park Zoo in Tucson, Arizona. This species is listed as vulnerable by the IUCN. Common name: Spectacled bear, Andean bear, jukumari (Aymara), ukumari (Quechua), Ukuku. The spectacled bear is the only surviving bear species endemic to South America. 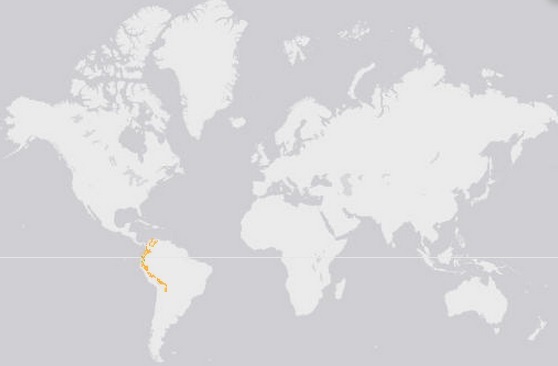 Its distribution is concentrated in the Andes Mountains of South America covering Colombia, western Venezuela, Ecuador, Peru and Bolivia. They are also found in the border of the Pacific coastal desert and the western Andean mountain range in Peru. There are historical reports of its presence in Panama and northern Argentina. They occupy a great variety of habitats including tropical forest, rainforest, mountains and high altitude grassland with high humidity. They move to different habitats following seasonal patterns of food growth. They live at elevations of between 1,558 to 12,000 feet or 475 to 3,658 meters above sea level. As little as 5% of their original habitat in the Andean forest remains. The IUCN predicts a loss of habitat at a rate of 2 to 4% a year. Estimates suggest that there are fewer than 3,000 adult Andean bears in the wild today. Its coat is medium to long length and can be black, brown or reddish in color. They have white to cream rings around the eyes resembling eyeglasses. Some individuals have partial rings and some do not have them at all. The white fur extends to its throat and chest with each individual having a distinctive pattern. 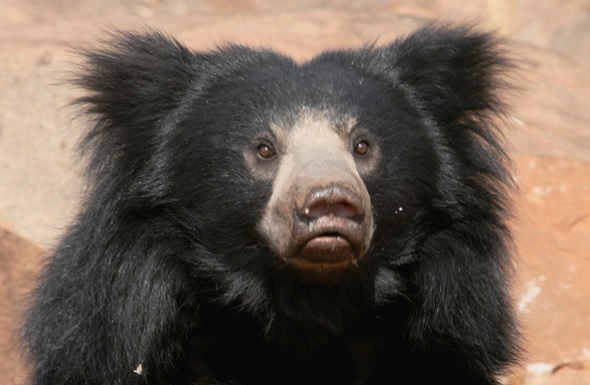 The spectacled or Andean bear has a round face with a short and broad snout. They are medium size bears. Mature males can be from 4.9 to 6.6 feet or 1.5 to 2 meters in length and can weigh up to 440 lb or 200 kg. Females can weigh up to 181 lb or 82 kg. They have a short tail of approximately 2.76 in or 7 cm long which hides under its long fur. Their front limbs are longer than their hind limbs. Spectacled bears are mostly nocturnal they spend their days resting under vegetation or high in the tree canopy where they build a platform. They spend their nights looking for food. 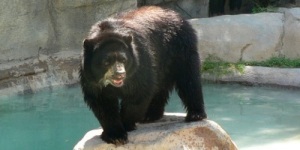 The spectacled bear is one of the four arboreal bears. The other three are the American bear (Ursus americanus), the Asian black bear (Ursus thibetanus) and the Sun bear (Helarctos malayanus). They are shy and solitary and tend to hide away from humans and other bears by climbing trees. They try to avoid confrontation but will attack if it feels threatened. They congregate in locations where there is abundant food. They do not hibernate as food is available all year round. Andean bears follow a seasonal migration to other habitats where food is abundant. Reproductive maturity is between 4 to 6 years old for both female and male. Mating peaks during the rain season between April and June but it can occur at any time of the year. They breed once a year. Gestation period is from 160 to 255 days. The variation is possibly explained by delayed implantation. Litter size is from 1 to 3. Cubs are born with their eyes closed and weight approximately 11oz or 300g. They open their eyes when they are one month old. 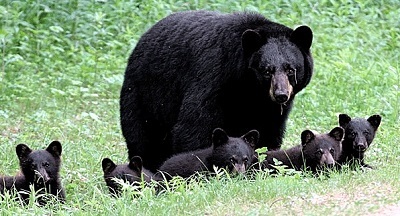 Cubs stay with their mother for the first year. There is no paternal involvement. Spectacled bears are omnivorous. Their diet includes more plants and fruits than any other bear species and only about 5% consists of meat. They commonly eat fruits, berries, nuts, cactus, bamboo, bromeliads, orchid bulbs, corn, sugar cane and honey. Prey includes llama, cattle, small mammals, rodents and carrion. In the wild Andean bears live an average of 20 years. In captivity they live an average of 25 years. The longest recorded lifespan was at the National Zoo in Washington D.C. where a bear lived 36 years and 8 months. 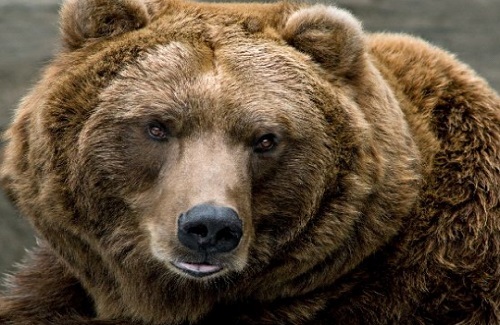 Adult bears have no known natural predators other than humans. Cubs are the most vulnerable and can become prey to other bears, jaguars and mountain lions. Spectacled bears are hunted by humans mainly because they are believed to eat livestock. Loss and fragmentation of habitat due to oil and mining exploration, road construction, logging and farming. Sometimes they are hunted for medicinal and ritual purposes. Parts of their body are sold to Asian markets where they are used as traditional medicine. The IUCN Red List of Threatened Species has listed the spectacled bear as a vulnerable species. They predict a population decline of more than 30% in the next 30 years. The Andean bear is listed under Appendix I of CITES.